Marrying an older woman in our patriarchal society is considered to be more of a sin than a taboo. According to a vast majority, the girl should always be younger than her husband so she could be ‘molded ‘ mentally according to her husband’s standards and his family’s. 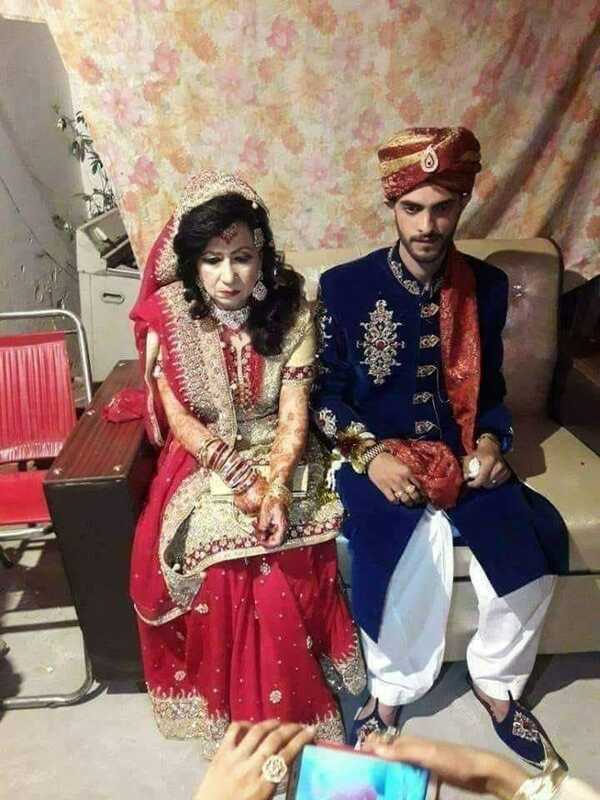 In Pakistan, if a man marries an older woman, the couple is automatically looked down upon and questioned, as if they’ve committed a ‘sin’. Not only this but when a guy marries a divorcee or a widow, he’s made fun of or rather mocked. Why is it that our society should always be reminded of the biggest example of a man marrying an older woman? The example of our Holy Prophet Muhammad (S.A.W) who married a woman older than him, Hazrat Bibi Khadija (R.A), who was 15 years older than him and was married twice before. 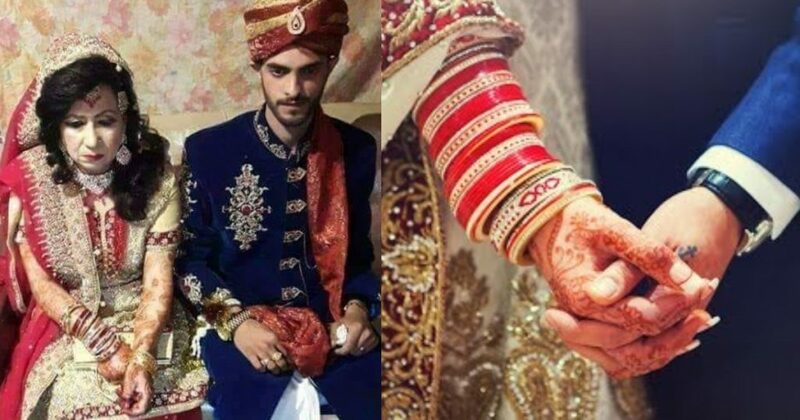 We recently came across a story where a young Pakistani guy tied the knot with a much older woman than him. As the picture had gone viral, people couldn’t stop taunting and making fun of him! Although we’re yet to find out more about this couple, this story truly touched our hearts! However, after the picture had gone viral, here’s how Pakistanis were reacting to it! But then there were people who were appreciating this act! How sweet! It’s amazing to see the majority of people appreciating this beautiful couple! And this is just not one Pakistani couple who went against the ‘typical’ societal norms. Many known Pakistanis celebrities have married women older than them! To name a few, we have, Abdul Hadi (husband of Yasra Rizi), Zaid Ali T (husband of Yumnah Shahid) and so many others! However, the question that arises here is that who is setting these marriage standards? Who said that a girl should be younger than the guy? When and how are we going to change this typical mindset and thinking of our society that has been here for years? We pray this couple is blessed with loads of happiness and It’s high time we, as a society, need to broaden our mindset. Also, when a couple is happy together, why do we feel the need to pass judgemental remarks on them? Who gives you the right to do so? Think about it. It’s about time we change the way we think.